(Beyond Pesticides, January 14, 2019) Tell Congress to stop the Trump administration from opening the floodgates to permit widespread use of antibiotics in citrus production (grapefruits, oranges and tangerines). Tell your U.S. Senators and Representative to urge EPA to reject the use of antibiotics in food production, including citrus production. In addition, both the active and inert ingredients in common herbicides advance antibiotic resistance. Learn more about the history of Resistance and Antibiotics by visiting Beyond Pesticides’ Antimicrobials and Antibacterials program page. Pose the question to policy makers: Will we now see an “Antibiotics rebellion”? Please stand up to EPA and insist that the agency does not permit the use of antibiotics, including streptomycin and oxytetracycline, in citrus production. This creates a public health threat that EPA must consider in real terms, as it relates to longer-lasting infections, higher medical expenses, the need for more costly or hazardous medications, and the inability to treat life-threatening infections. Antibiotic resistance is a real and urgent public health threat and represents an existential threat to modern civilization. Antibiotic resistance kills over 23,000 people each year, according to the Centers for Disease Control and Prevention (CDC). In addition to the CDC, the World Health Organization has cited this escalating problem as one of the biggest public health challenges of our time. “By 2050, resistance is estimated to add 10 million annual deaths globally with a cumulative cost to the world economy of US$100 trillion,” said Jack Heinemann, PhD, University Canterbury’s School of Biological Sciences. In addition to interfering with digestion, exposure to antibiotics can disturb the gut microbiota, contributing to a whole host of “21st century diseases,” including diabetes, obesity, food allergies, heart disease, antibiotic-resistant infections, cancer, asthma, autism, irritable bowel syndrome, multiple sclerosis, rheumatoid arthritis, celiac disease, inflammatory bowel disease, and more. The human immune system is largely composed of microbiota. Treating all these diseases have real costs that must be calculated when the agency allows exposure to a pesticide, in this case an antibiotic used for non-medical uses. 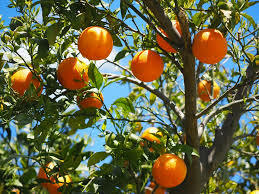 Note that it may not be widely appreciated that use of antibiotics on fruit trees can contribute to resistance to the antibiotic in human pathogens. The human pathogenic organisms themselves do not need to be sprayed by the antibiotic because movement of genes in bacteria is not solely “vertical,” that is from parent to progeny—but can be “horizontal”— from one*/ bacterial species to another. So, a pool of resistant soil bacteria or commensal gut bacteria can provide the genetic material for resistance in human pathogens. Consider the real cost to the American people and internationally and urge EPA to prohibit the use of streptomycin in citrus production by setting a tolerance or allowable residue of zero. Please let me know that you are able to voice your concern to EPA on this matter. This entry was posted on Monday, January 14th, 2019 at 12:00 am	and is filed under Agriculture, Antibiotic, Antibiotic Resistance, Take Action, Uncategorized. You can follow any responses to this entry through the RSS 2.0 feed. You can skip to the end and leave a response. Pinging is currently not allowed. Antibiotics should not be used in food. Allowing their use in citrus is insane. Please reject the use of antibiotics in all food production, including citrus and other plants.